Well … sure! Okay then! Twist my arm, why dontcha? I love getting emails like this. 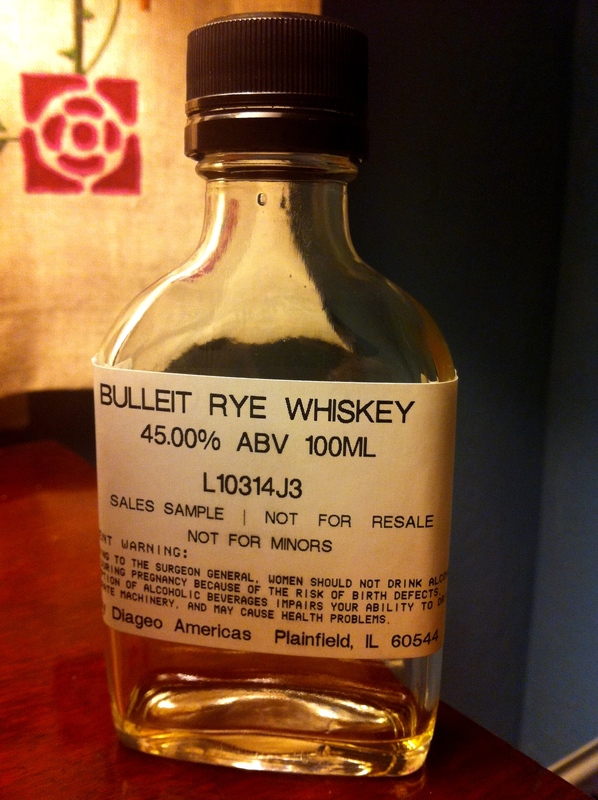 It’s exciting news that Bulleit are putting out a rye. I’m a huge fan of their Bourbon, its own high rye content being one of the reasons (about 28% of the mashbill, in fact). Such a high rye content gives wonderful spice notes and produces a drier product that one that’s mostly corn. (Remember, by law Bourbon whiskey must be at least 51% corn, and rye whiskey must be at least 51% rye.) The new rye won’t contain any corn — the mashbill will be 95% rye with 5% malted barley for natural grain-based enzymatic action for converting the rye grain’s starches to sugars in fermentation. Their rye grains have been obtained from Germany, Sweden, Canada as well as the U.S., and they use a proprietary yeast strain for fermenting the mash. The age is described as being “between 4 and 7 years.” It’s a hefty dram too, with the finished product coming in at 90 proof (45% abv). I had read that Tom Bulleit and his distillers had been working on this product for about 7 years, talking to whiskey lovers as well as bartenders for ideas and inspiration. That’s plenty of time to give it some age and fine-tune. I could hardly wait to taste it. Whiskey has quite a history in this family –- the Bourbon made from a 175-year-old recipe by Augustus Bulleit, Tom Bulleit’s great-great-grandfather. The production process for the Bourbon also uses a proprietary yeast culture (I wonder if it’s the same one as the rye) and a Kentucky limestone-filtered water source originating from the Salt River, both of which help impart a unique character. “[In the 1820s the young Augustus] emigrated from Alsace-Lorraine, France. Augustus arrived in the city [of New Orleans, Louisiana] during a time of great growth and prosperity. The United States had recently obtained the territory from Napoleon Bonaparte in the Louisiana Purchase, and New Orleans had successfully defended itself from a British invasion during the War of 1812. 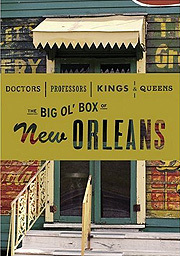 The population of the city doubled in the 1830s, and by 1840, New Orleans had become the wealthiest and third- most populous city in the nation. “The strategic location of New Orleans, at the base of the Mississippi River, made it one of the primary gateways to the West for many early pioneers. To service this ever-growing community of frontiersman, a sizable industry selling needed products for the journey West was forming along the banks of the Mississippi. It’s easy to imagine a young Augustus Bulleit observing the growing American population, the swelling movement west, and noting the ease of transport from the North as a result of the river. “Around 1840, Augustus Bulleit took his newfound entrepreneurial ambitions and moved from New Orleans to just outside Louisville, KY. Augustus established himself as a tavern keeper, where he began producing small batches of bourbon. Relentless in his pursuit of perfection, he experimented with countless recipes, finally finding one that consistently met his expectations. And thus, Bulleit Bourbon was born. “Augustus’ bourbon was sold throughout Kentucky, Indiana and New Orleans where it quickly gained the reputation as the bourbon of choice for America’s most haled and hardy adventurers—the frontiersmen. “In 1860, America was rapidly expanding further west, and Augustus’ adopted hometown of New Orleans had become a major distribution point for his whiskey. That year, while transporting barrels of whiskey from Kentucky to New Orleans, Augustus Bulleit mysteriously disappeared just outside of New Orleans. “Walter Q. Gresham, a farm boy from Augustus’ neighborhood, who later became Secretary of State under President Grover Cleveland, formed a search party to travel from Indiana to New Orleans in search of Augustus. The searchers came back empty handed, with no knowledge of what happened to Augustus. However, they did discover that his whiskey and flatboat had been sold. His body was never found. “Shortly after Augustus’ disappearance, the Civil War began and his case was lost in the chaos of the time. While presumed dead, his death has never been certified. That’s a hell of a story! I must confess I was looking forward to seeing that big pretty bottle with the new green label, but I love getting little medicine bottle samples. Given the limited quantity though, we were going to have to taste and mix carefully. Into the Riedel Bourbon glasses it went, one ounce each. First impressions on the nose: fruity! A bit of dark berry but the thing I noticed first was bananas. No, not quite. More like banana esters, like the ethylene gas from when you keep bananas in a paper bag to help ripen them. (This is a good thing.) Tropical, almost floral. Dry spice, a touch of toffee, unburned tobacco (an aroma I love; why must people ruin that aroma by setting it on fire?). Very round and inviting. On the palate: Lean, robust, medium dry, very crisp. It’s spicy but not overwhelmingly so, and not necessarily the brown “Christmas” spices; it’s almost lightly peppery. Great rye flavor. The brown sugar and nutty toffee notes from the nose come in here too but it’s not the kind of sweetness you get from a high corn Bourbon. The finish is dry and nutty with that little touch of sweetness and a really nice rush of spices. It’s big and complex and spicy and absolutely delicious. Wow. We couldn’t wait to mix this. We had just enough left to make one Manhattan. I had barely an ounce and a half left — to that I added 3/4 ounce of Carpano Antica vermouth and a dash of Bitter Truth Aromatic Bitters. Lemon twist. Superb. This rye is not only great for sipping but for mixing as well — that was a terrific Manhattan. I wish I had more of it to do a more studied tasting, but you can bet that as soon as I see this on the shelves I’ll be picking up a couple bottles. Release date was a week ago on March 1, but I have yet to see it pop up at my usual spirits emporia. Keep an eye out. You’re going to want this one. I’m seeing it available at Cask Store here in SF for $23 – which given that Cask’s pricing is usually at a premium over BevMo or K&L Wines, I’d expect to see it available around $21 once it hits the shelves elsewhere – maybe even at Trader Joe’s like their bourbon. Which is a pretty darn good deal if its as good as you say. I mean, I love me my Rittenhouse 100, but at 100 proof, its a bit of the beast. A quality, affordable 90 proof rye that holds up to sipping but mixes even better sounds like smack dab in the middle of the bulls-eye! I really like their bourbon, too bad Diageo is not distributing the Bulleit products here in Brazil yet. BTW, we actually have absolutely NO RYE WHISKEY available in our market (**business hint**). kinda sad isnt it? This is a nice rye. Had it in a blind tasting a a couple of months ago, and it came out well. So, when Tom Bulleit works with his distillers, who do you think he’s working with? I wonder if the rye is produced by the same distiller as their boubon? That’s the impression I got from reading about it. 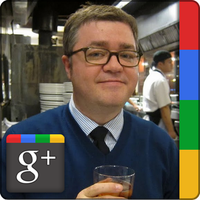 I can always ask Hollis Bulleit next time I see her. I’ve Four Roses makes the bourbon (actually, a Four Roses rep told me that). You’ve heard the same? And I wonder if that means Four Roses will have a rye as well? As I understand it it’s produced at that distillery but Bulleit work with their own master distiller. Diageo owns the brand now. Interesting. That’s not mentioned in the press materials. However, it’s Indiananess is not discernible in the flavor. If you had tasted any other of the LDI-made ryes (like Templeton) then its “Indiananess” is very much apparent. Plus, you know the Bulleit family really has no more to do with that bourbon than the Morgan family has to do with Captain Morgan, right? Just picked up a bottle of this today, and about to mix a Sazerac. Joshie — That’s rather disingenuous, isn’t it? Bulleit is part of Diageo’s portfolio now since they acquired 2/3 of Seagrams, who bought the brand from Tom Bulleit after he had run it for 10 years before that. Tom still has an advisory capacity with the brand, and he and his daughter work for Diageo as brand ambassadors. There’s no such thing as a “Morgan family” (the Captain Morgan brand was another Seagrams brand, and was supposedly named after a possibly mythical 17th Century pirate) and that there’s a real Bulleit family with a distilling tradition who actually work for the brand. So what’s up with all that? As for it being made at the same distillery as Templeton … so? It’s a different product. Buffalo Trace makes Sazerac 18 and George T. Stagg, but they also make Ancient Age. Heaven Hill produces Rittenhouse, Elijah Craig and the Parker’s collection, as well as a number of bargain brands. Jim Beam makes Booker’s, and they also make Old Crow. I have indeed tasted Templeton, by the way. It’s not my favorite, but it’s not bad. In our recent blind rye tasting (24 different ryes) it fared okay, but not as well as others. Have you even tasted Bulleit Rye? It’s good. That’s really the bottom line. I`m late to the party as usual but Bulleit rye really interest me, and there family story is really a hell of a story! it was nice meeting them last summer. I gotta get me a bottle next time i`m coming over.Why oh why can´t i find any much stuff over here?